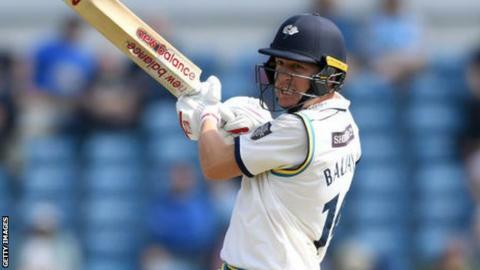 England batsman Gary Ballance has signed a new contract with Yorkshire until the end of the 2021 season. The 29-year-old, who has 23 Test caps, helped Yorkshire win the County Championship in successive years in 2014 and 2015. Ballance took a break from cricket last May for personal reasons, giving up the captaincy to seamer Steven Patterson. "I've played here for such a long time, I love the lads and everything about Yorkshire," he told the club website. "The challenge has become a slightly different one, but there are so many good players, talented guys who have performed well over the last few years." Zimbabwe-born Ballance last played for England in July 2017 and scored 1,422 runs across all formats for Yorkshire in 2018.